This drama is the historical remake of the conflict that occurred between the Joseon King Yeongjo (Han Suk Kyu) and his son the Crown Prince Sado (Lee Je Hoon). They had two very different ways of how to rule the country. King Yeongjo wanted to pursues the strong royal authority, and to strengthen his political power. While Crown Prince Sado insisted on the more ideal thought of equality for everyone. It was known that King Yeongjo, even after 30 years on the throne felt threatened by his son, and therefor he sentenced him to death. Nevertheless, mystery surrounds Crown Prince Sado’s death, even 100 years after. 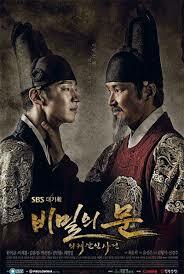 This drama will explore the truth behind one of Joseons greatest struggle for power. After watching the first episodes, I realized that this was a little different from the others; somehow, I was so confused I couldn’t continue, so I decided to research the background for this mysterious king. In addition, it definitely helped me get through it, and it opened up so many questions about him. Now I know why every historian thinks he is interesting.